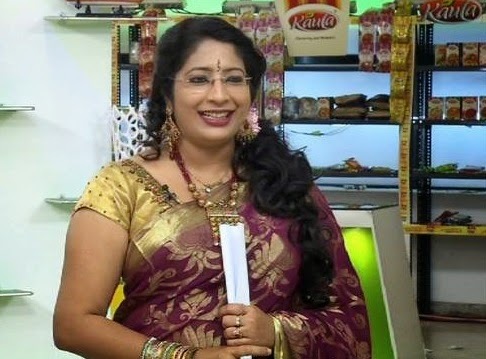 Dr. Lekshmi Nair is a Malayalam Television Anchor and Chef. She has a multi-faceted personality and is also a business woman. She has also penned down cookery books and has plans to start a school for cookery school. With her culinary and presentation skills she has earned 'celebrity chef' status in Kerala. Here we focus mainly on her artistic skills than her academic career as lawyer. Lekshmi Nair served Doordarshan Malayalam as a news reader from 1986 to 1988. 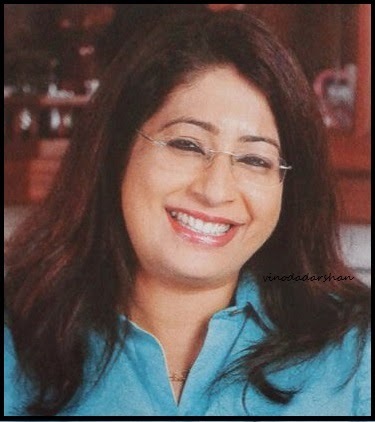 Lekshmi Nair believes cooking food is as enjoyable an activity as eating. She has been passionate about cooking and experimenting with new dishes even at an young age. The dishes she made were well received by her family members and friends. This resulted in an outdoor cooking unit. Her Caterina & cookery institute has completed more than 20 years in business. She was keen to advance her culinary skills in Thai cooking and went to Chennai for a crash course. Lekshmi took lessons from Piangjai, an expert. Lekshmi Nair became a household name after the launch of malayalam cookery show 'Magic Oven'. The show is one of the first programs aired on Kairali TV after its launch in 2000. The weekly cookery program captured the attention of the viewers due her natural & casual tone of her TV show. She also presented nadan to International dishes in a way that the audience can relates to. Lekshmi is involved in every aspect of the show right from deciding the recipe to actual demonstration. She takes much care of her costumes and accessories, which is noted well by the audiences. Magic Oven has completed for than 500 Episodes in 14 years and is still going strong. 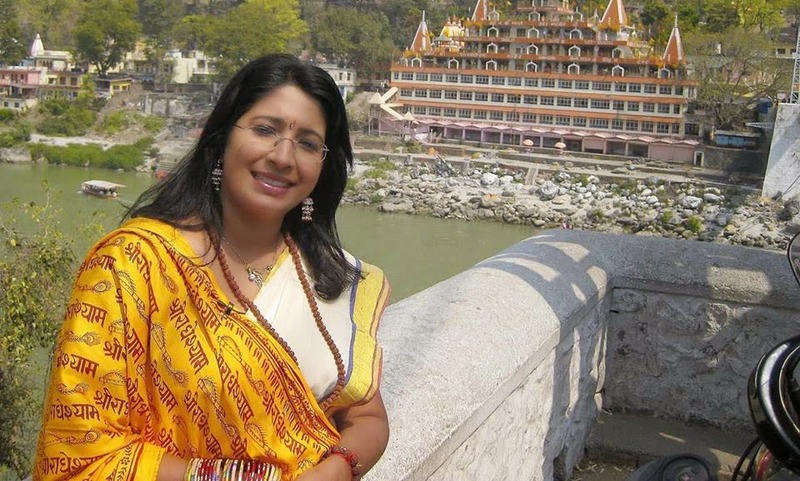 Following the success of Magic Oven, Lekshmi Nair launched a travelogue 'Flavours of India' on Kairali Channel, which showcases the food, culture, and lifestyle of different states of India. She has already travelled to most of the states in India. In 2013, she launched another travelogue and cookery show ' Flavours of Malaysia' for exploring the food, culture and life of the multi-ethnic nation, Malaysia. The show is aired on Kairali TV. She always garnish her show with a dash of glamour and ensure that her presentation in an easy but classy one. In the mean time she has also hosted cookery competition shows like Pachakarani on Kairali TV. The cookery reality show took a break after the launch of Kitchen Magic on Kairli TV. This show similar to Master Chef international cookery show. In this show aspiring chefs from different parts of South India display their culinary skills in innovative, creative, healthy and hygienic ways in the competition to became a culinary master and to earn the title. The show has completed three seasons - Kitchen Magic, Celebrity Kitchen Magic and Kitchen Magic Season 3 . Lekshmi Nair has published a collection of recipes she presented in Magic oven show and others in the form of books. English version of the books are also available as Magic Oven -Fabulous Recipes. These books are available from DC books . The kindle version of Magic Oven Fabulous Recipes is available from Amazon. Lekshmi Nair is the daughter of Dr.N Narayanan Nair and Mrs Ponnamma. She is married to Adv. Ajay Krishann Nair. They have two kids (Parvathy Nair & Vishnu Nair). Both of her kids studied law and following the tradition of the family. Parvathy Nair recently (22 August 2014) married Dr. Aswin from UK. Lekshmi and her family is settled in Thiruvananthapuram. Lekshmi Nair also excelled on the academic front. She has completed B.A Degree in History from Government Women’s College, Thiruvananthapuram (2nd rand holder of Kerala University) and M.A. in History from S.V. University, Thirupathi. She did her LLB, LLM (first rand holder) and Phd from the Kerala Law Academy, University of Kerala. The topic for Ph.D research was “Legal Dimensions of Secularism”. she also published many research articles in Academy Law review. She Joined the Academy as Guest lecturer in History in 1988 and became Guest Lecturer in law in 1990 and became a full time permanent lecturer in 1994 and became Professor in 2007. She is currently holding the position of Principal of Kerala Law Academy in Thiruvananthapuram. She is also a member of the Kerala State Film Censor Board since 2005.